Just for a second, picture what it means to have three sons sharing a bathroom. Yeahhh. That. 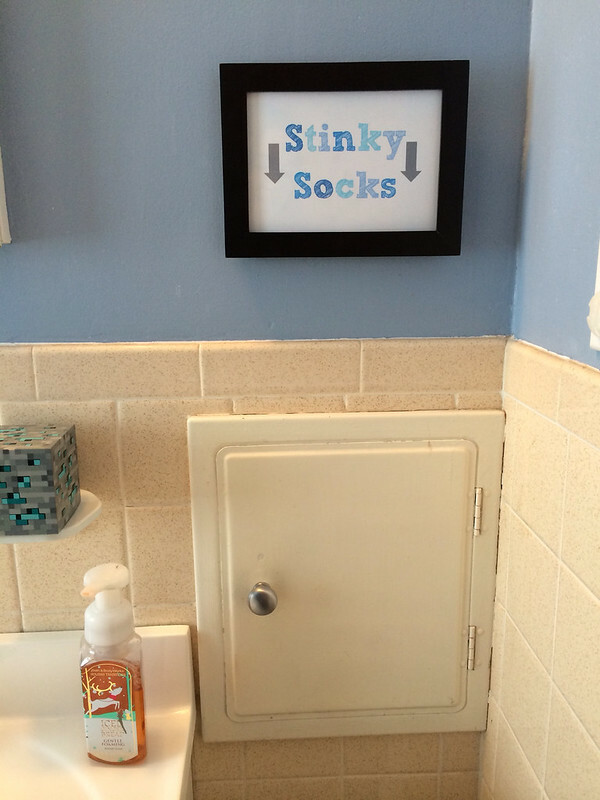 When we moved into this house, it was this cute thing to have a "boy's bathroom". Back then, it was my husband's room to store his things in, and where he'd shave. Lukas would brush his teeth and take his baths there, too. We kept our fun little bath toys in a basket on the floor, where they'd patiently wait for their next use. The whole room was as comfortable to use as our other, "for everyone" bathroom. Fast forward five years, and two rounds of potty training later with an impending third means it's basically Armageddon in there. The boys pretty much run the show, and I'm not June Cleaver enough to be in there daily with my rubber gloves and bleach. So, for a while now, that room has been my home's eye sore. It's cute enough, with its powder blue walls and little white cabinet. But because we generally stay out of there and close it off to visitors, we haven't taken a lot of care to make it anything special. 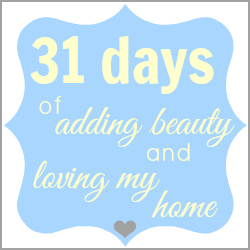 I'm trying to love my whole home (in an attempt to counter act the frustration I always feel with it), so I tried to think of some ways to make it a little more welcoming, friendly, and happy. I don't have a big budget for this sort of thing, so I had to think frugally! Look for unused picture frames (I have a whole shelf of them in my basement), and other little pieces you can use as decor. You'll see in the photos below that I added a nightlight to the otherwise unused built-in soap tray - it's a light-up Minecraft light that the boys LOVE, but don't have a home for. Now it ties in perfectly, and they love it! When Luke saw that I used it in his bathroom, he was SO excited! 2. Pictures and wall art. Before this update, I framed two sheets of scrapbook paper that matched our linens and hung them on the wall. That is a perfect option (I've done that many times in past rooms! ), but you can also have your kids make paintings, put up actual photos of them, or shop around from some great prints! I wandered over to Etsy, to find something adorable, and found myself checking out prints at an old favorite shop (Willowbee Expressions). I loved so many different options (this one stood out to me, hello delicious color! ), but a specific set really jumped out at me. I wanted my chosen artwork to display a good message for my kids, and this set showcased perfect reminders of things we're always talking about with our kids. 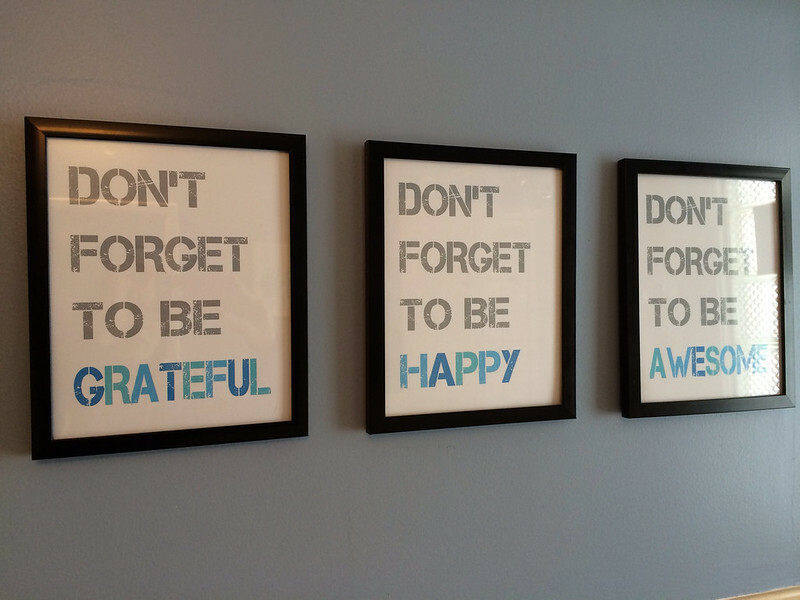 I love the idea of them all being surrounded by positive words - good reminders of how to approach each of their days. Grateful, Happy, Awesome. Allie at Willowbee is wonderful and accommodating (and has 2 boys of her own with possibly a 3rd on the way, so she gets it!). 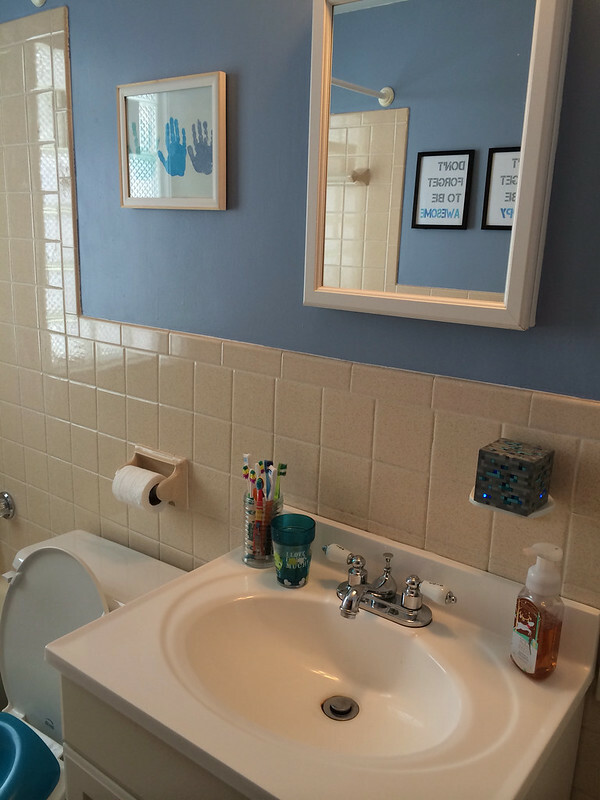 She re-colored these beautiful prints for me so that they would fit into our blue bathroom. Since this is the boys' bathroom, and I want it to be theirs, I knew that the blues would have more staying power over the years. Allie emailed the files to me when she was finished editing them, and I printed them onto some bright white cardstock from my scrapbooking supplies. It was super simple to do, and you can do the same with prints for your nursery (like this color-detail Alphabet print, or these personalized monogram Playroom prints). PS, Willowbee also has printables for Valentine's Day treats, too - so easy and adorable! All it took were a few 8x10 frames, a few nails (and my secret photo hanging technique), and we had an adorable, inspiring addition to the room! 3. Search a dollar store for Storage Solutions. We really needed a better storage option to store the kids' toothbrushes, but because they have the children's kind, they typically don't fit in traditionally designed toothbrush holders. I found two different options, for, yep...$1. One is a desk pen organizer, and the other is actually a parmesan cheese shaker that I took the lid off of! I took a poll, and everyone liked the cheese shaker ;) They also have lots of drawer organizers and baskets you can use depending on your specific needs. I got a bunch of drawer sorters for my other bathroom. 4. Ditch the Shower Curtain. If your kids are as little as mine and only take baths, there's really no need for the shower curtain. 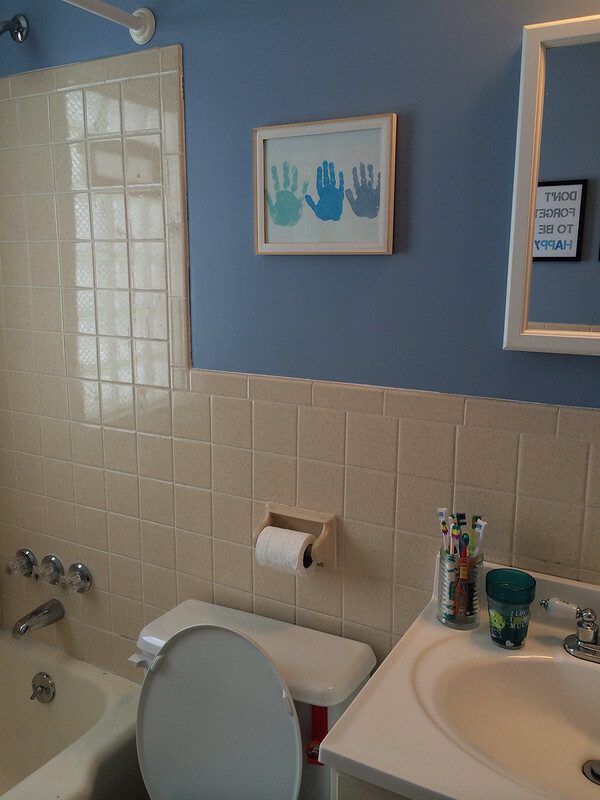 We used to have one that matched the room perfectly, but it was always just pushed to the side to make room for the boys to be in the tub and the two of us to scrub them down. Eventually, they started picking at the plastic and shredding it up, and we finally said - forget this thing! And it's one less thing we have to clean! 5. Stick with a color scheme. Using a set color pallet to decorate has more staying power than decorating with characters, animals, or other little-kid themes. We used shades of blue, white, and grey. The tile in the room is neutral, and both warms up the colors and matches almost everything, so we lucked out there. But the same idea can be applied to any bathroom! 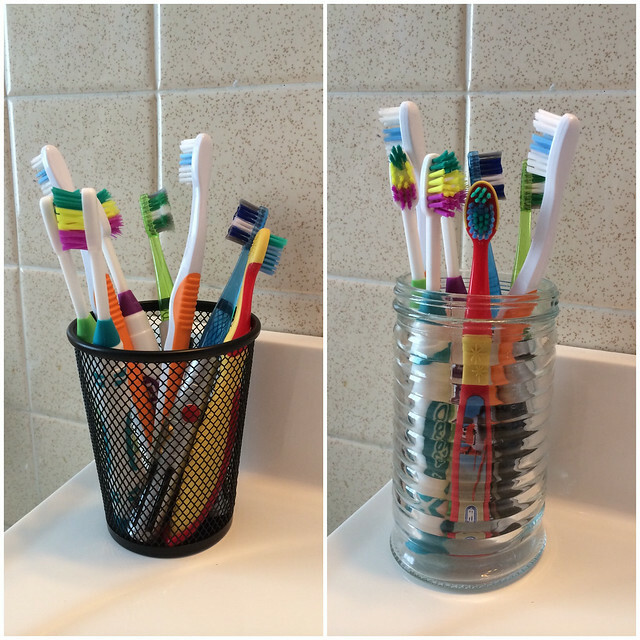 Here's what these tips look like in action in our bathroom! The boys & I got messy last week and made this handprint art with each of the boys' right hands. We used paint colors that coordinated with our Willowbee prints, and I LOVE how it turned out! If someone were to spring a surprise black light inspection on this room, it may or may not still look like a crime scene under such detailed scrutiny. But I really love the way we've worked to honor this room for all its hard work with our sweet boys. I love the addition of our Willowbee prints and the positivity they bring to the room so much! I would really, really love for you to find a print that speaks to your heart so you can display it somewhere in your home! So today, Allie & I are sharing a $20 credit to her shop with you! YAY! Such a cute bathroom for boys!! I am not sure which prints I would choose if I won, there are so many fun choices!! Thank you!! 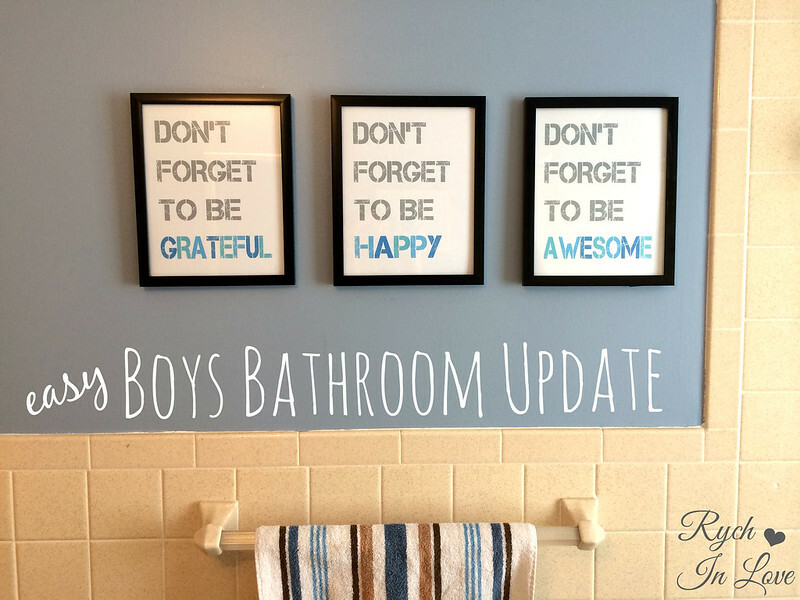 I know, it took me a long time to decide what my favorites were, but when I settled on the "don't forget" prints I knew they'd be perfect for the boys! 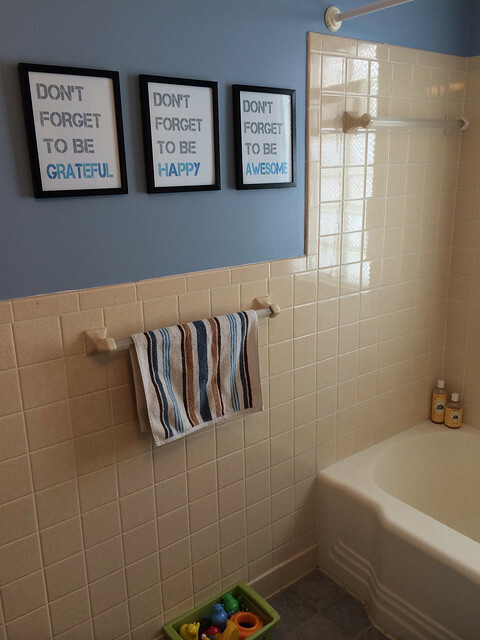 I love the 'don't forget' signs. This bathroom is so cute! Thank you!! Aren't those signs the best? I love them so much! 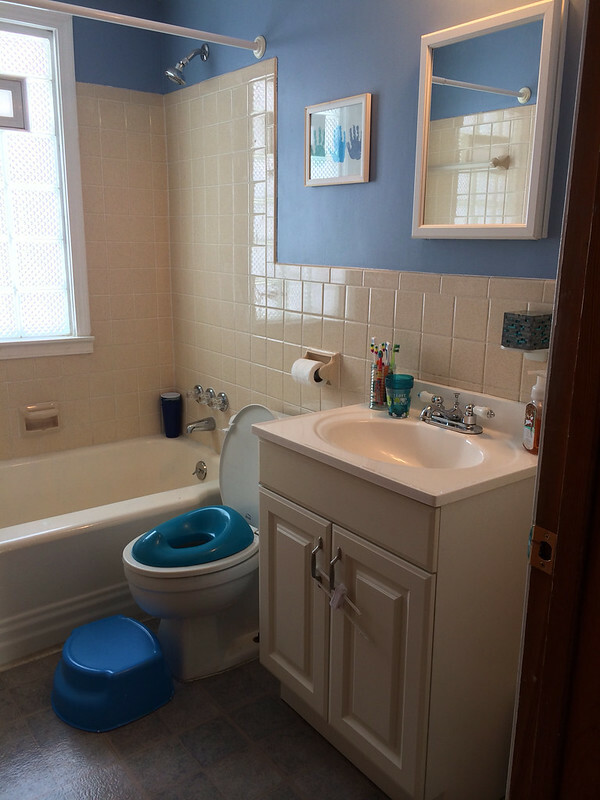 wow - such a cute bathroom!! Love the signs! These are great ideas. My children's bathroom could definitely use some updating! What a cute bathroom for the boys. Love the signs, it looks great! 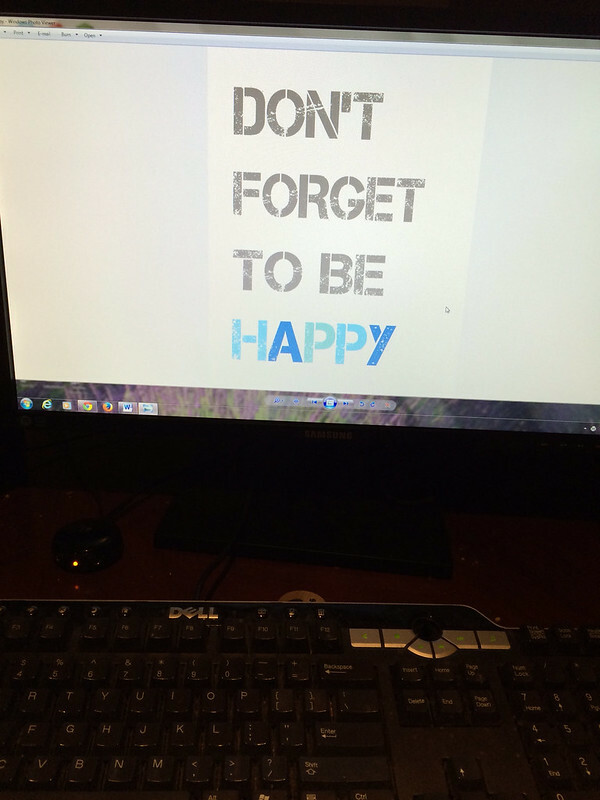 I would get "Don't Forget to Be Awesome." I like the "Baby It's Cold Outside" and the thank you cards. 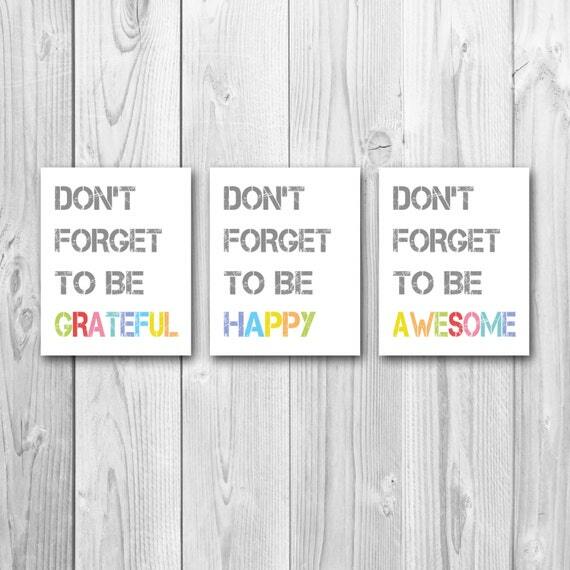 And the Winnie the Pooh quote and the "Don't Forget to Be Awesome." kristiedonelson(at)gmail(dot)com Thank you. I like the "playroom rules" poster, super cute! I would love to have the Home established sign! So cute! I like the sister subway art and the You are so loved, Dream big little one, You are my sunshine, navy and orange, baby shower gift. Love the prints! May do something similar for my 3 boys! My favorite Chalkboard sign from Willowbee Expressions print is , WE LOVE ALREADY. 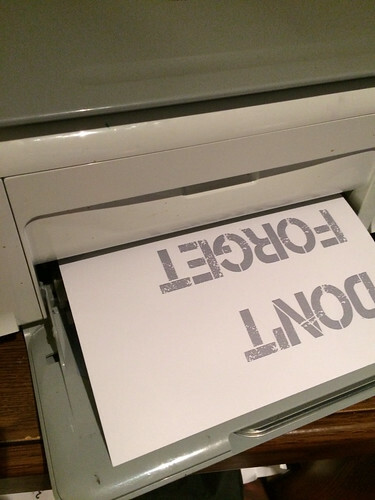 I think this would be a great sign to welcome guest. I love the "I love you" alphabet print and the braver winnie the pooh quote! I might get one of the baby month by month stickers as I have #2 on the way. I like the chalkboard monogram printable!